Behind every great program, is a great story. Well... I'm not sure if this is a great story or not, but here it is. My name is Jonathan Thomas. I live near Dallas, in North Texas (USA). I am a professional software / web developer (20+ years experience). 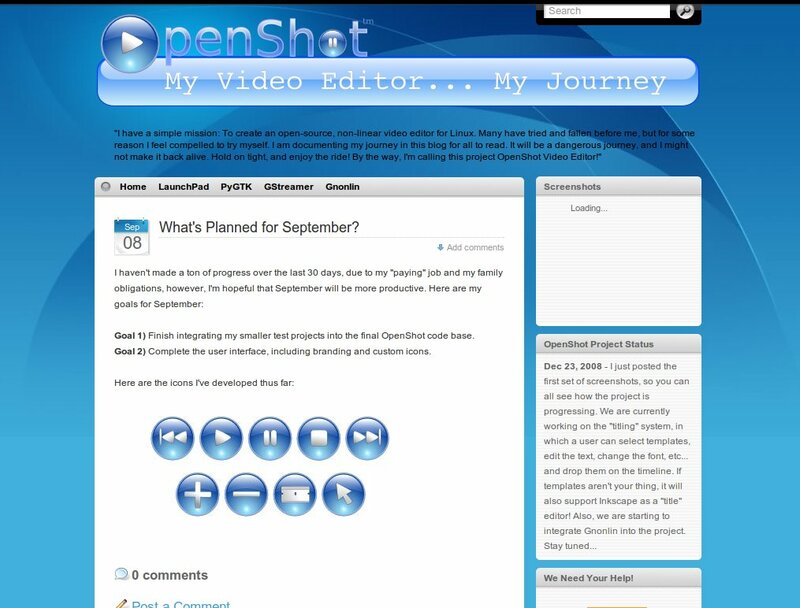 So, after much consideration, I decided to start my own video editor project in August of 2008. Sounds easy right? However, as I learned, I had many challenges awaiting me. I decided it would be an interesting challenge, and it was worth attempting. I quickly decided on the Python programming language, for it's speed, beauty, and it's rich bindings for many libraries. One of my friends suggested that I should track my progress with a blog. Although I had no experience blogging, it turned out to be one of the best decisions I've made. 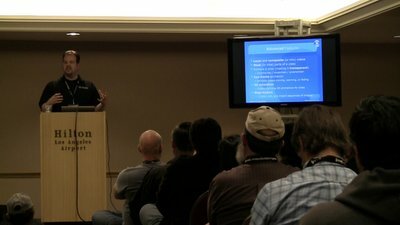 It has allowed me to document my key decisions, meet many interesting people, and most importantly, it gives me a direct feedback loop with the video editing community. The last piece missing from the puzzle was a good multimedia framework (i.e. the library that does all the video and audio mixing). MLT. Enough said. Once it all started to fit together, I got real excited. Was I actually going to be able to pull this off? Was I actually going to create a video editor? Maybe. But first, it needed a name. A meaningful name. An awesome name. Fast forward 1 month... I still could not think of a name. One day while playing basketball (PIG to be exact), I missed an open shot. My friends started laughing at me, and then it clicked. "OpenShot"... It's perfect. 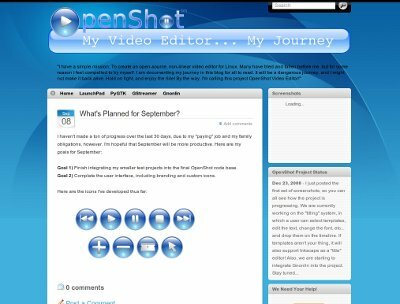 Sounds cheesy, but that's the true story of how I came up with the name "OpenShot".